so .... its up to you! Sigh. Canceled my US order and am getting it from Canada. Two more weeks of waiting to save forty bucks is worth it. 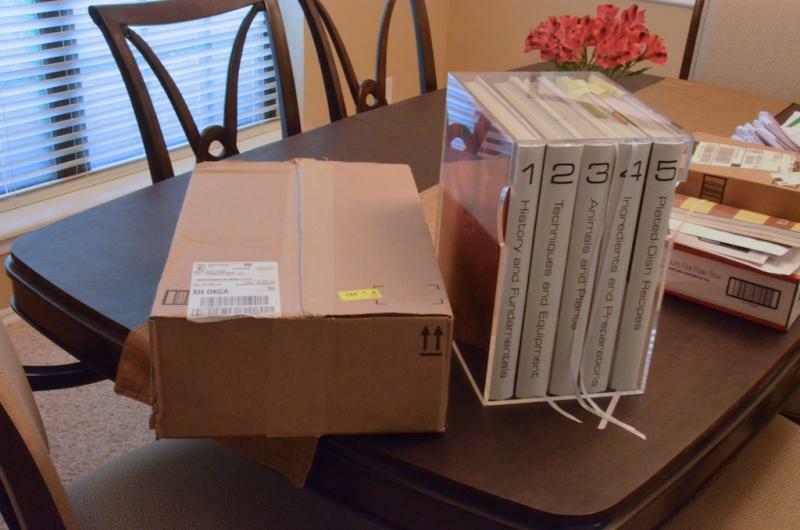 Shame on you, Amazon US! 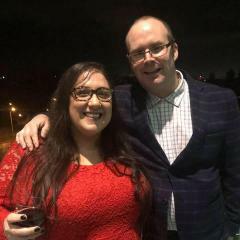 Trying to scam egulleteers. Ha ha..well we might end up paying the same when it ships. 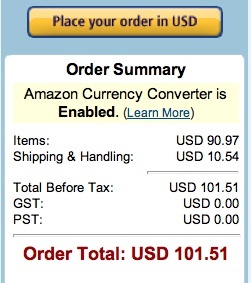 I did not use the Amazon CA currency converter. I took the CAD total of $96.10 and plugged in my phone's app for converting currency and based on today's rate it's about $97 or so. As an adunct to the book (mine is to arrive Monday, Oct. 1) did you see this new website from Chef Steps? I did, and I'm quite excited about this. I mean I love my cookbooks (gotta collect em all right!) but it seems like an exciting new way to learn and improve my home cooking. Mine was just delivered. Very excited to check it out this weekend. I noticed that Amazon US has changed back to 10-08 realease date. Just received mine. 2 volumes; cookbook and kitchen manual in a case. Can't wait to be able to check it out further! There is an owner registration in the back of the book but the registration doesn't start until 10-08. I've cooked plenty of recipes from the books. I just think nobody bothers to use the official forums, they're all here on eGullet. 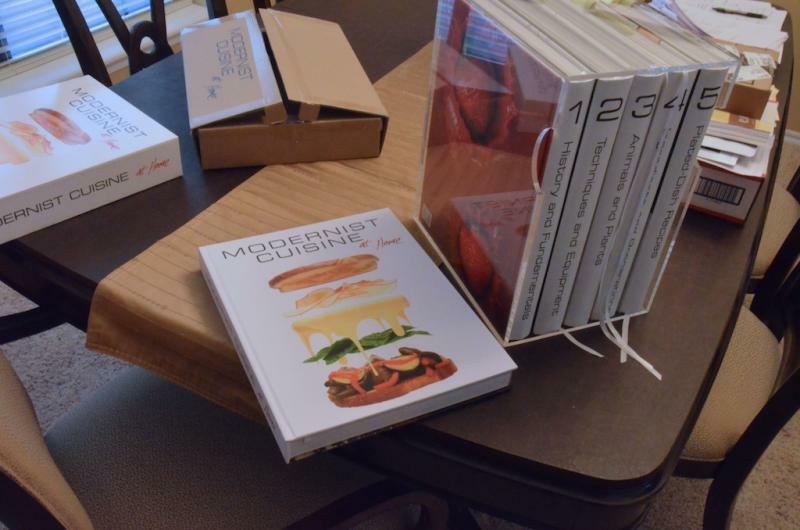 Check out the "Cooking with Modernist Cuisine" topic. Haha you just beat me to it, I was about to post some unboxing photos myself. Nice treat to get home to after a long day for sure! I started a "Cooking with..." topic here. I should be getting my copy on the 4th...the day before I leave on a trip to Vegas... I'm thinking bringing a book instead of clothing for the trip wouldn't be the best idea, but I'm sure tempted! Wow! price at Am.CA has gone up to 110 Canadian from 86. they still said they would honor the 86 I ordered it at. place any bets on that? They will if that's the price you ordered it at. why are the various Amazonians going so nuts on one book? 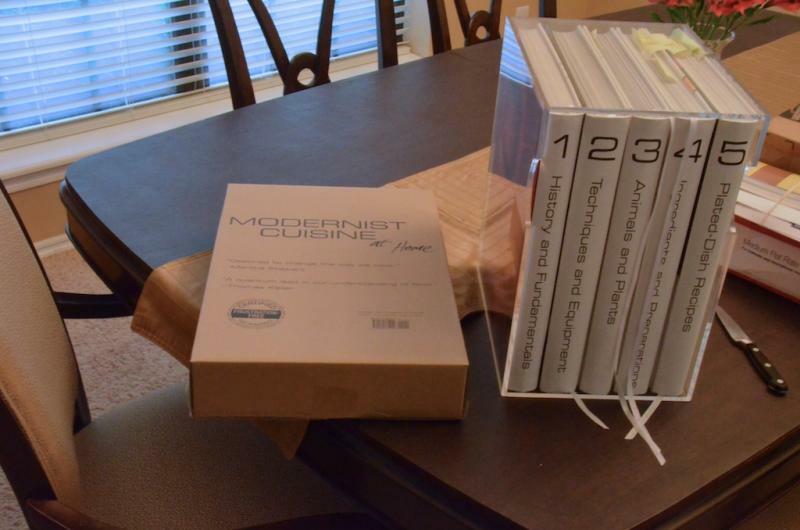 A cookbook about Modernist Cuisine includes "Modernist complications"?! Shocking! And you need a sous vide rig and a pressure cooker, and in some cases even some crazy ingredients like... Wondra. OK, so I haven't read the whole review, maybe it's not that bad, but from the excerpt it does seem a bit absurd. Review are written for their 'market' ie readers that get the newspaper. now that I have a killer coffee roaster ( thanks aapl! ) Im thinking a siphon is next for me! I don't think those people will be disappointed: this then turns into just another volume of recipes that uses some (but not all) of their stuff. I think the people who will be most disappointed are those who were hoping that this would be "MC Junior" and wanted it to basically be a low-cost replacement for the original set, which it is not. 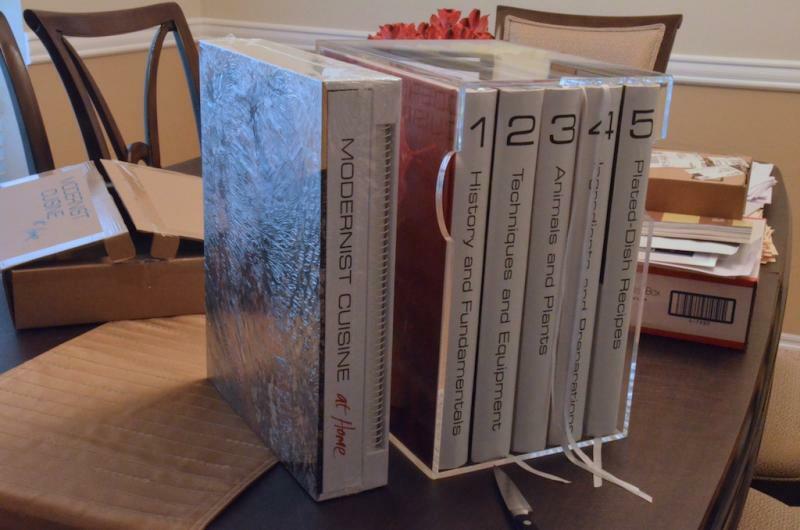 This is a book of recipes targeted at the home cook who is interested in culinary Modernism, and who owns those two piece of equipment (sous vide setup and pressure cooker). It is a great supplement to MC, but in no way a replacement for it. You don't need to own MC to use this book, and can make every single recipe in it without referencing MC for anything. But you need MC if you want to learn the science.
" It is a great supplement to MC, but in no way a replacement for it. You don't need to own MC to use this book, and can make every single recipe in it without referencing MC for anything. But you need MC if you want to learn the science. " well thats what I think too, not having the book yet from CA. 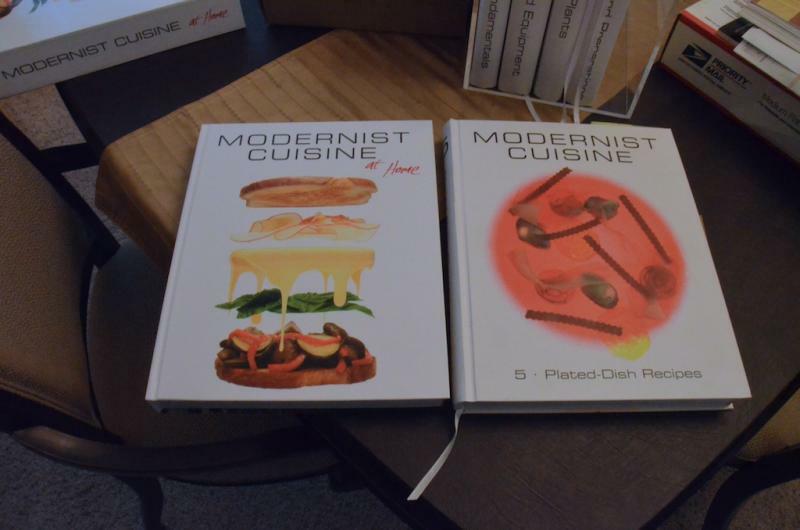 My impression is, and long has been, that Modernist cuisine (whether the big books, the At Home book, or even related restaurant cookbooks) is the Linux of the cookbook world: it's cooking for people who make cooking a hobby, and want to muck around in the internals. 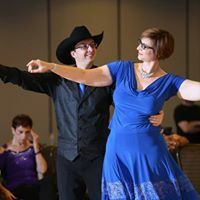 It's fun to do, and it gives you a lot more control over every part of the process and outcome. What it doesn't do is "simply meet my day to day needs."